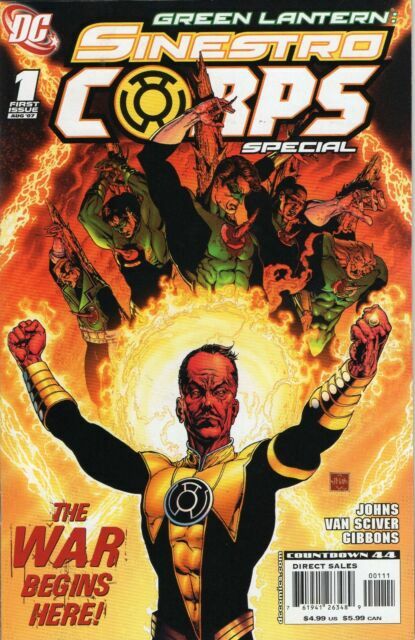 Green Lantern Sinestro Corps Special #1 One Shot DC Comics 2007 VF!!! Green Lantern #23.4 Sinestro #1 Nov 2013 DC Villains 3D Lenticular Cover Mint! GREEN LANTERN #21 (2007) DC COMICS THE SINESTRO CORPS WAR Part 2 1ST PRINT! DC Comics BLACKEST NIGHT (2009) #3 Rare 3rd Print VARIANT KEY Issue SHIPS FREE!